My kids are not a big fan of Potatoes. 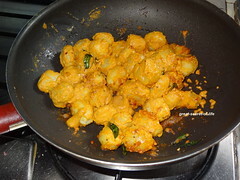 So Potato fry is very rare in our house hold. 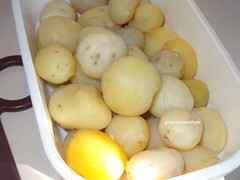 but whenever I visit Little India I always tempted to buy baby potatoes. 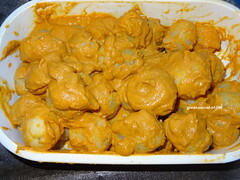 I normally add them into korma or do Palak Potatoes. I have tried this at one of my friends house. It tasted good. So I have decided to try it out. I have grinded the onion and garlic but if you are ok you can skip the grinding. 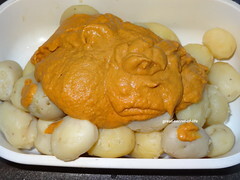 Cook the potatoes and remove the skin. Prick holes with fork. Keep it aside. 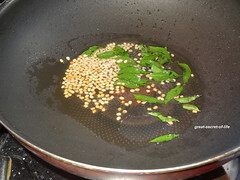 Heat the pan and add 1 teaspoon of oil. 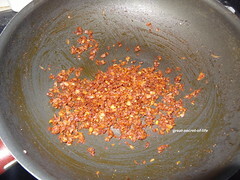 Fry garlic till it is brown in color. 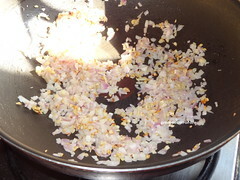 Add onion and fry till it is transparent. 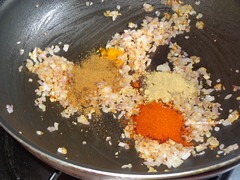 Add turmeric powder, red chilli powder, coriander powder, roasted cumin powder and fry for 3 mins or till nice aroma released from masala powders. 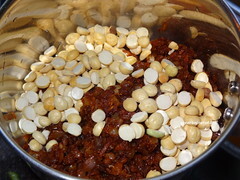 Add Roasted gram dhal to the fried onion and garlic. When it cool down grind to smooth paste with very little water. Mix this with cooked potatoes and mix well. wow! 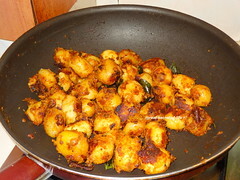 this is soo yumm.. absolutely mouthwatering potato fry..
wow, looks so yummy, i can eat this whole times. Would love to have some, they are dangerously addictive. 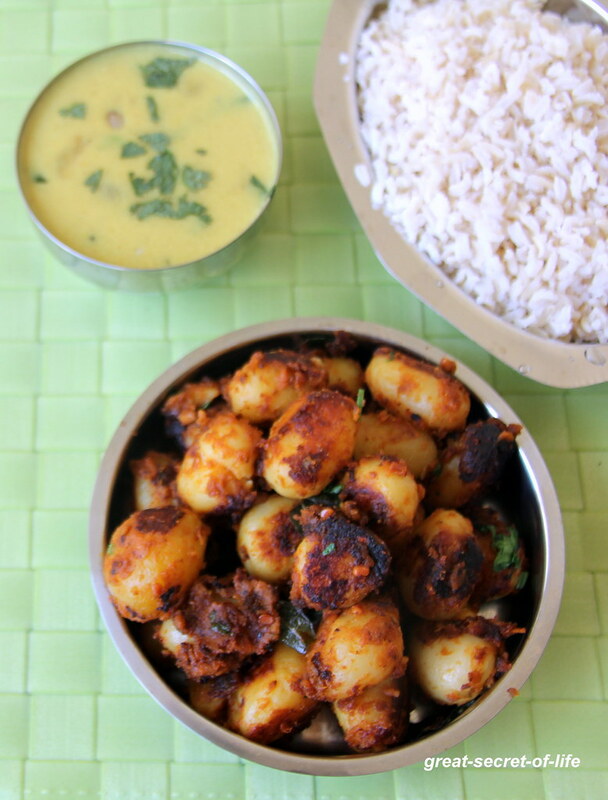 Potatoes; on top of our list as fav. 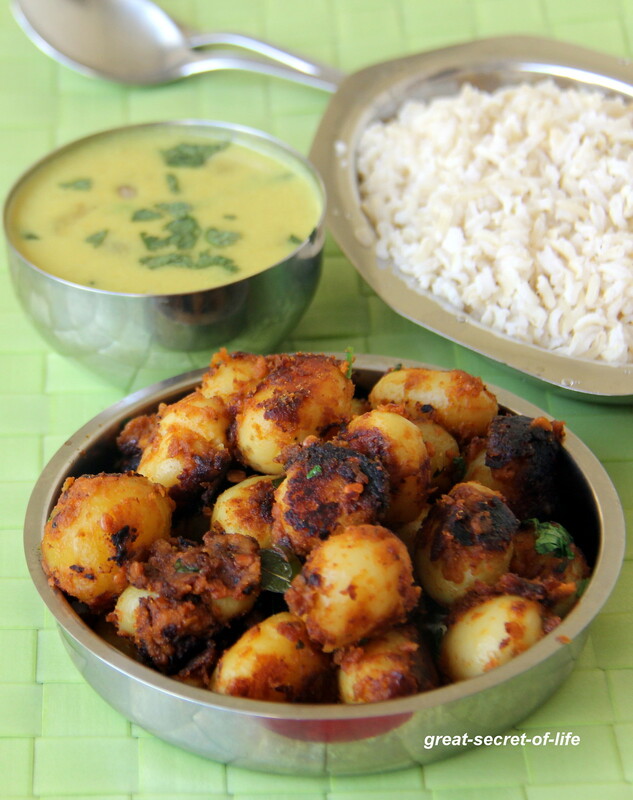 This dish is also our all time fav for its deliciousness. Made so many different version and everything cleared immediately. 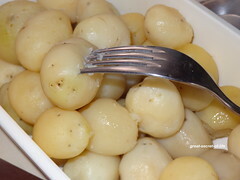 Baby potatoes looks delicious. 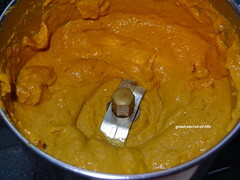 lovely masala paste. 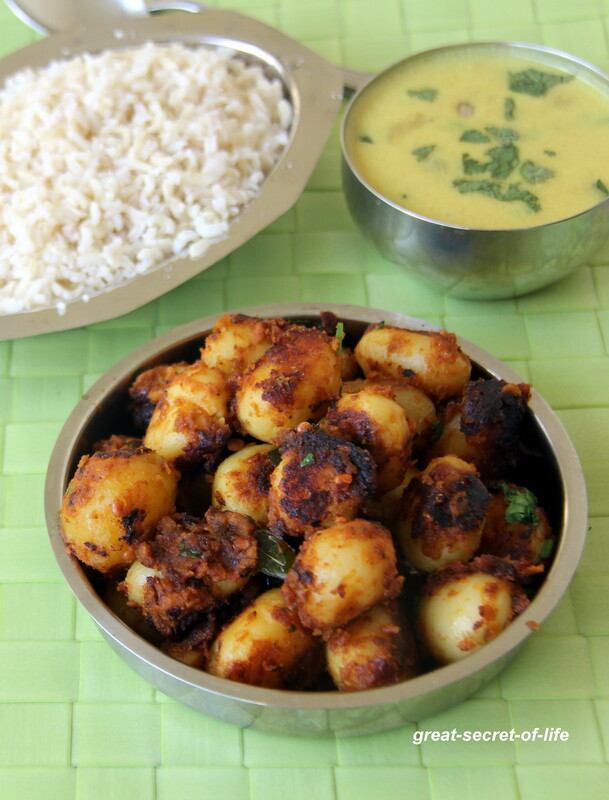 yummy potato curry!! love it! !